While at work today, a young guy I know committed this atrocity. 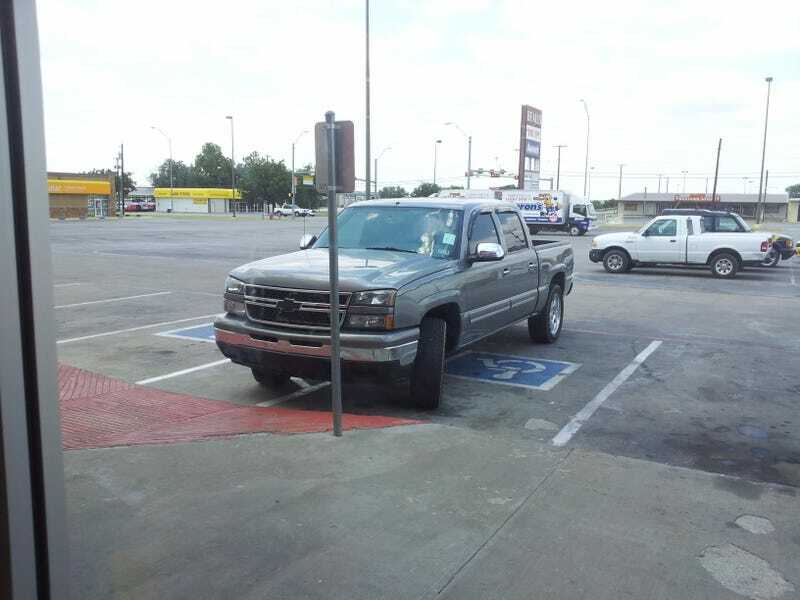 I even called him on it, he complained that someone was in the normal spot when he pulled in, so he just parked wherever so he didn't have to walk across the parking lot. This is a kid who's dad is a mechanic, who works hard at his job and owns two trucks and a sweet foxbody, who had just bought this particular truck so he could sell another one, and who I frankly expected better of. My faith in humanity sagged to new lows today.